The South Park BMX track was started with a lot of help from the Allegheny County Parks Department. Bob Tedesco, of the National Bicycle League (NBL), originally built the South Park BMX track in 1978. It was the sister track to the North Park BMX track that Bob also built and was the first BMX track in Allegheny County. Bob was the Track Director of both these tracks and the indoor BMX track in Schoonamaker Hall at the South Park Allegheny County Fairgrounds for many years. Many years ago, Mr. Joe Bremmier, Director of the Allegheny County Parks Department, made a great contribution by being instrumental in getting the installation of electric lights and water on the BMX property and the announcing tower. The South Park BMX track hosted its first NBL National in 1980 and in 1982 was the site of the NBL Grand National with about 2,000 BMX riders in attendance. South Park was the first track chosen to host a Union Cycliste Internationale (UCI, the World Cycling Federation) sanctioned International BMX event that was televised around the world. Word spread quickly about the excellence of this track with its natural continuous flow, speed, obstacles and design and became known as the perfect track. The South Park BMX track became a model for tracks around the world. For many years the National races at South Park BMX track were filmed and shown on ESPN2 and ESPN television and it was reported they received the highest ratings for the most watched BMX shows. South Park BMX track was also the site for several ESPN2 televised Xtreme Sports Jumping Contests sponsored by DK Products, Gatorade and Mountain Dew. 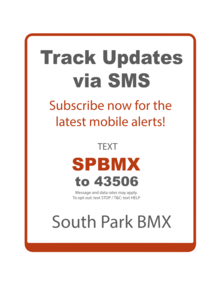 The South Park BMX track still has the original track layout as when it was first built. Many times throughout the years BMX publications and professional riders have voted it as the best BMX track in the country and in the world. The location and natural flow of the land is what makes this track so exceptional. There have been many great parent groups at South Park BMX over the years that have continued this tradition and all have kept the high standards of excellence in rebuilding and maintaining this track. 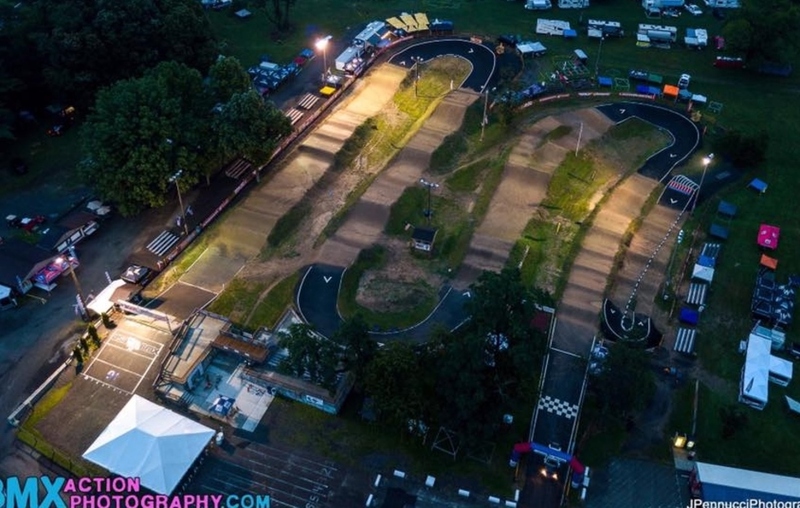 The South Park BMX track has the distinction of being one of the very few BMX tracks that has hosted a NBL National event for the National Bicycle League every year since it was built. Bob Tedesco and the South Park BMX track will be featured, with story and photos by Keith Mulligan of Transworld magazine, in a display in the Heinz History Center Museum as part of the history of cycling and sports in Western Pennsylvania.